Fear Fair is simply one of the best-designed haunts in the industry. Few haunts can recreate classic horror movies and do them justice, but Fear Fair takes it to another level of fright. 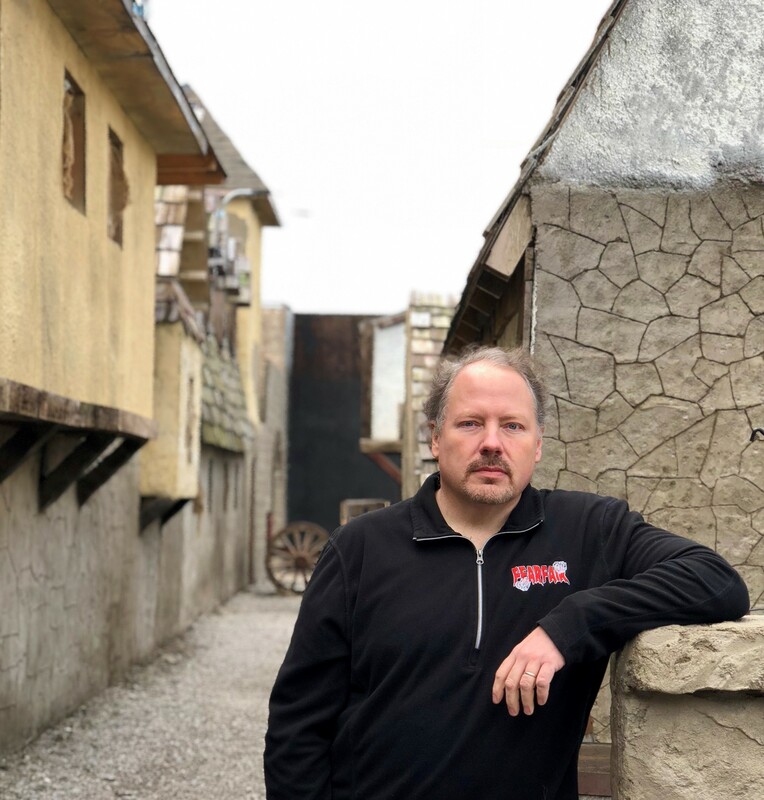 Fear Fair’s detailed sets are so impressive that you’ll feel like you’ve stepped into a classic slasher flick or entered a twisted western village. Many of the movies Fear Fair recreates are classics in every sense of the word and the creators of this jaw-dropping haunt know this. There’s so much detail packed into scenes that you would need to tour the haunt at least twice in order to really appreciate all the hard work that has gone into making these well-known horror movies come to life. Camp Crystal Lake has real bunk beds with campers crying out for help. The mine shaft from My Bloody Valentine features a poor soul who has had a shovel crammed shoved in their throat to the point where the jaw has been separated from the rest of the mouth. Even Dr. Frakenstein’s Laboratory has a large Tesla coil that looks like it was taken straight out of the 1931 Universal classic. Every great haunt has a dedicated cast of actors. The actors at Fear Fair are intense beyond belief. The characters you’ll come in contact with are insane. You’ll get touched, grabbed, pulled into a room and even have puss squirted on your face. Fear Fair is a very interactive experience. While some people may not enjoy being touched, I do. It makes the haunt more off the wall and unpredictable. I love it!